Karmarama, the marcoms group bought by Accenture in 2016, has hired John Doe MD Rosie Holden to lead its PR and social influencer discipline, as the group stops using the Kaper name for its PR services. London-based Karmarama said Holden, who starts on 3 April, will "work across the group to drive communications ideas that have cultural currency at their heart". Meanwhile, Chris McCafferty, founder of Karmarama's PR agency Kaper, moves to a new role as MD of Accenture Interactive’s UK Experience Agency operations. This is Accenture Interactive’s offering that combines specialisms from the company's various businesses, including Karmarama, to provide the 'total customer journey' for clients. McCafferty will continue to work on PR clients such as IKEA, Virgin Trains and Vauxhall, the group said. The news coincides with Karmarama dropping the Kaper name. The group will now pitch under the Karmarama banner, incorporating PR and other elements as required. McCafferty said: "Clients are looking for ever more connected creativity and simpler agency relationships. We’ve been part of the Karmarama family from day one, so uniting under the one brand is a natural next step. PRWeek previously reported that Holden is to leave John Doe on 29 March after six years at the agency, where she worked with brands such as Adidas Originals, Beats by Dre and Pernod-Ricard brands including Absolut and Malibu. She previous worked in-house at Adidas, and agency-side at M&C Saatchi Sport & Entertainment and Exposure. 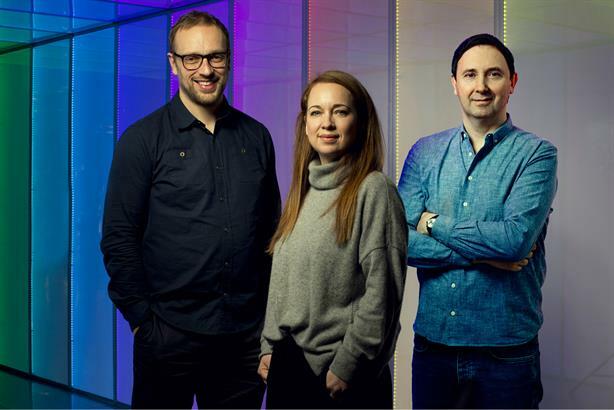 Holden said: "As someone who is passionate about delivering brilliantly creative and culturally relevant work for globally famous brands, Karmarama is the perfect new agency home for me. The team is a fantastic group of like-minded people, all dedicated to building brilliant campaigns. I'm very much looking forward to seeing where this attitude takes us all." McCafferty added: "Rosie’s track record of award-winning, culturally-driven work speaks for itself. We can’t wait to welcome her and for her to push forward our vision for brave, integrated campaigning." Kaper generated revenue of £2.3m in 2015 and employed 26 people, according to the most recent PRWeek UK Top 150 table that featured the agency. McCafferty previously told PRWeek that Accenture’s acquisition of Karmarama meant "bigger and better and more exciting opportunities" for Kaper.